Tour de Tellico is a bicycle ride through the beautiful countryside across several counties southwest of Knoxville. Choose according to your ability either the challenging 100 mile Century, the 100 km Metric, a 50 km or 25 km for the week-end rider. 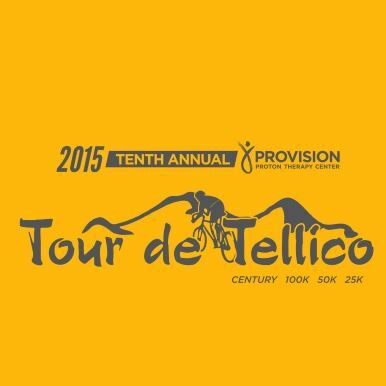 Support this charity ride and be part of the 10th Annual Tour de Tellico.